Darren Butler of Endless Biking, one of our community partners, has put together a couple of videos offering tips on technical mountain biking. 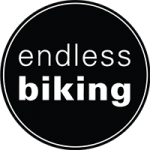 Endless Biking also offers an extensive array of Mountain Bike Skill Lessons and Tours. They even offer Pre-Ride sessions of our North Vancouver course. You can find all of the information online here.